Juplix – Nightlife & Hospitality Digital Agency | Juplix is the go to place for anything design, branding, or web development related, for the nightlife and hospitality industry. Twitter Facebook Having trouble saying Juplix? Having trouble saying Juplix? No worries. Click THE ICON FOR OUR HELP. Understand WHY we get out of bed and WHY we do what we do. The sole driving purpose at Juplix is to solve real problems in disruptive markets, previously held back by design and technology challenges, brought on by financial constraints or lack of innovation. In everything that we do at Juplix, we believe in embracing new ways of doing things that result in positive change, by making things simpler. In our aim to make a small dent in the universe, we believe that we are at our best when we are doing, and inspiring others around us to do, what we feel to be truly great work. We exist to create great products and services so we can show them off to the rest of the world, in hopes to gain their acceptance, approval, and hopefully — if we do our job right — their sincere appreciation for our work. This is very important to us and we drive ourselves relentlessly in achieving this painstaking level of care and detail towards our craft. Specifically, we believe that there is a real void of creative innovation happening within the nightlife & hospitality industry. We have been a victim of this problem first-hand, throughout our nightlife careers and now we truly believe that by making this our sole purpose, priority, and focus — that we are the team who can effectively solve this long-standing problem that has plagued our industry. We believe that you cannot stand for something if you chase after everything and this is the root of the current creative epidemic. So we are driving a stake in the ground with our nightlife flag in clear sight. We decided to put all of our wood behind this one arrow. We have made the commitment to concentrate Juplix’s efforts within this industry to maximize our expertise and influence. We aim to push the industry forward in ways that are truly impactful and wide spread. It is our vision to capture the mindshare within the nightlife and hospitality community as the go to place for anything design, branding, or web development related. We would like to be remembered as a company who continuously pushed the envelope on creativity and innovation and never settled for what was just ‘good enough’. We want to be remembered for doing great work and as a company that had a real and genuine impact on a growing industry. This is what we stand for at our core at Juplix and this is why we get up in the morning and come into work everyday — step-by-step — transforming this vision into a current reality. But Why The Nightlife & Hospitality Concentration? Learn about our Core Values and HOW we do what we do. These 5 core values are reflected in everything that we do at Juplix, in every interaction that we have, and they are our framework from which all of our decisions are made. Roy Disney sums it up best -- “It's not hard to make decisions when you know what your values are.”. We believe that you cannot stand for something if you chase after everything. Therefore, we believe in saying no to hundreds of projects so that we can really focus on the few that are truly important and meaningful to us. We participate only in the markets where we can make significant contributions and this is how we are able to stay inspired and engaged in our work. In deciding what areas to apply Juplix's focus and attention, we use this understanding as a guiding principle when evaluating those big decisions for our company. We believe that in order to run a successful company, you need to have a strong culture. Aligning ourselves with people that share our common values and principles help us protect and cultivate our own culture, within Juplix. We believe that if you get the culture right, then most of the other things have a natural tendency to just fall in line on their own. We believe a company's culture and their brand are just two sides of the same coin and that the brand is just a lagging indicator of its own culture. In our culture, we pride ourselves on having open communication, not being afraid to admit when we are wrong, and having the courage to change things when they do not feel right. We think it is important to do more with less and we view remaining modest and humble in both success and failure as one of the highlights within our personal and corporate character. At Juplix, we believe in personal growth and continuing education. It is important for us to be open as both the educator, as well as the educated. Therefore, we value shared knowledge and it is a driving force for what we believe in at Juplix. Strengthening our understanding on how the world works and empowering others in seeking out their dreams is baked into the core of our company's DNA. We all have an obsession in learning new ways of doing things to continuously make things more simplified and easier to understand. At Juplix's core we believe in deep collaboration. We work remotely with a team of people from all over the world with one central goal in mind, and that is building the absolute best product or service that we are capable of building. Being that we are committed to recruiting the absolute best possible talent available, we believe that adopting at our inception a platform to effectively manage a remote workforce, this has now put us in a great position to attract and retain a staff of brilliant talent without the worry of any local constraints. There are a lot of good companies out there in the world but at Juplix, our humble pursuit is to be a great company. Our aim is not to be the richest people in the cemetery. However, by keeping our focus only on what is most important, this allows us to continuously push ourselves, tirelessly, towards excellence in everything that we do in efforts to create something greater than ourselves. Everyone at Juplix believes that we were put on earth to create great products and services. Hence, we value the simple over the complex and we do not compromise on quality in any area of our company. We believe that you cannot stand for something if you chase after everything. Therefore, we believe in saying no to hundreds of projects so that we can really focus on the few that are truly important and meaningful to us. We participate only in the markets where we can make significant contributions and this is how we are able to stay inspired and engaged in our work. In deciding what areas to apply Juplix’s focus and attention, we use this understanding as a guiding principle when evaluating those big decisions for our company. We believe that in order to run a successful company, you need to have a strong culture. Aligning ourselves with people that share our common values and principles help us protect and cultivate our own culture, within Juplix. We believe that if you get the culture right, then most of the other things have a natural tendency to just fall in line on their own. We believe a company’s culture and their brand are just two sides of the same coin and that the brand is just a lagging indicator of its own culture. In our culture, we pride ourselves on having open communication, not being afraid to admit when we are wrong, and having the courage to change things when they do not feel right. We think it is important to do more with less and we view remaining modest and humble in both success and failure as one of the highlights within our personal and corporate character. At Juplix, we believe in personal growth and continuing education. It is important for us to be open as both the educator, as well as the educated. Therefore, we value shared knowledge and it is a driving force for what we believe in at Juplix. Strengthening our understanding on how the world works and empowering others in seeking out their dreams is baked into the core of our company’s DNA. We all have an obsession in learning new ways of doing things to continuously make things more simplified and easier to understand. At Juplix’s core we believe in deep collaboration. We work remotely with a team of people from all over the world with one central goal in mind, and that is building the absolute best product or service that we are capable of building. Being that we are committed to recruiting the absolute best possible talent available, we believe that adopting at our inception a platform to effectively manage a remote workforce, this has now put us in a great position to attract and retain a staff of brilliant talent without the worry of any local constraints. Somehow I can’t believe there are any heights that can’t be scaled by a man who knows the secret of making dreams come true. This special secret, it seems to me, can be summarized in four C’s. They are Curiosity, Confidence, Courage, and Constancy and the greatest of these is Confidence. When you believe a thing, believe it all the way, implicitly and unquestionable. If you can dream it, you can do it. Always remember this whole thing was started by a block. Great design…is innovative…makes a product useful…is aesthetic…helps a product to be understood…is unobtrusive…is honest…is durable…is thorough to the last detail…is concerned with the environment…is as little design as possible. We hold these truths to be self evident: that all men are created equal; that they are endowed by their Creator with certain unalienable rights; that among these are life, liberty, and the pursuit of happiness. I’m a great believer in luck, and I find the harder I work, the luckier I get. Duties are not performed for duty’s sake, but because their neglect would make the man uncomfortable. A man performs but one duty — the duty of contenting his spirit, the duty of making himself agreeable to himself. There’s basically one thing that you have to do — you have to make every single detail perfect, and you have to limit the number of details. That’s it. Above all else, align with customers. Win when they win. Win only when they win. GTD provides the most systematic and effective way for both individuals and organizations to manage anything and everything meaningful to them. This is achieved by objectively capturing, clarifying, and organizing commitments at all key horizons that have their attention; and consistently reviewing and renewing that total inventory, dynamically. The key benefit is freedom. Bad leaders think they are better than those who serve them. Great leaders believe they are only half as good as those they serve. A revolution starts with a clear vision of a world different than the one we live in today. The visionary must light a flame. Those who choose to follow its light must work to keep it burning. Do you have the strength to be weak? Good to great companies first got the right people on the bus – and the wrong people off the bus – and then figured out where to drive it. For no matter what we achieve, if we don’t spend the vast majority of our time with people we love and respect, we cannot possibly have a great life. But if we spend the vast majority of our time with people we love and respect – people we really enjoy being on the bus with and who will never disappoint us – then we will almost certainly have a great life, no matter where the bus goes. The people we interviewed from the good-to-great companies clearly loved what they did, largely because they loved who they did it with. A company should limit its growth based on its ability to attract enough of the right people. These are not easy questions. Who am I? Why am I here? They’re not easy because the human being isn’t wired to function as an individual…Evolution has programmed us to feel rejection in our guts. This is how the tribe enforced obedience, by wielding the threat of expulsion. Fear of rejection isn’t just psychological; it’s biological. It’s in our cells….We fear discovering that we are more than we think we are…That we actually have the guts, the perseverance, the capacity…because, if it’s true, then we become estranged from all we know. By honouring the lives of those we admire, we make our own values known. perhaps more clearly than words ever could. 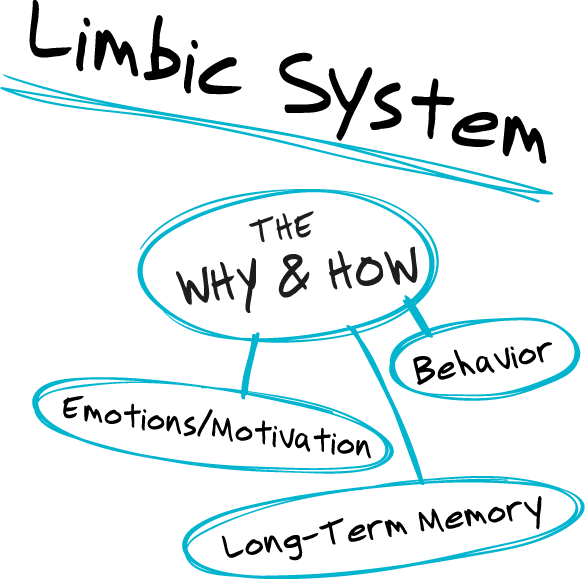 Learn WHAT we do in service to our WHY and HOW. Juplix is the go to place for anything design, branding, or web development related, for the nightlife and hospitality industry. We pride ourselves on great design, coming up with creative solutions for challenging nightlife problems, and providing outstanding customer service. We are absolutely in love with what we get to do through Juplix, and we are constantly trying to seek out people who share our values and beliefs, as well as our appreciation and passion towards great design and memorable user experiences. We just happen to make some beautifully designed brands, products and services! Now, we are fully equipped and ready to cook up some of this magic sauce, just for you! At Juplix, we find value in visual models that allow us to gain deeper insight and retention into our workflow processes. Illustrated above, we have created our own. Within this specific model, we have given our creative workflow process a humorous narrative told through an epic battle scene of a young gladiator in training, overcoming his inner resistance and defeating the demons of his own making, found within himself. He is able to achieve this success as long as he follows the chosen path that we have modeled above. It is our claim that it’s a very noisy world filled with a lot excess information and by adopting our systematic workflow, you can easily filter through all that noise and tap into your brand’s one true signal. Once it is clearly identified, you can then broadcast that message to the rest of the world in an articulate way that connects with your audience at their core; building life-long brand loyalties. In the dark murky lands of the unknown, there are buried treasures. A stone unturned is a diamond left behind. Ask everyone, everything. Be annoying. Don’t worry, we’ll forgive ya. Take everything that you can find. No really, do it. In these lands, data is king. Arm yourself with as much info as you can because the beasts of your wild imagination will call upon you for it. Do not be without, when the time comes. If so, scary things may happen. Be afraid. Be very afraid. Don’t be caught in the arena underprepared. My apologies, but you’re not into the promised land just yet because without structure, there is no form. So now it’s time to connect the dots and separate the signals from all that noise. It’s time to challenge your ideas and ask the critical questions and see if your ideas have legs to stand on. Asking the right questions will guide you to the winner’s circle so be thorough. Always remember though, trying to push forward without a clear sense of direction is like fuel without an engine. It burns impulsively but accomplishes little. We all know that great stories are the vehicles into the heart and soul of an audience. But not so fast. Every great story needs interesting characters and your brand is no exception. Cultivating your brand’s personality will create the much-needed emotional connection with your audience. However, even with that memorable personality, the most treacherous of roads still lie ahead. You see, there is no story without truth and there is no truth without taking the time to ask the right questions. Great brands understand what they stand for and why. Goals, products, and services can change but your core values, principles, beliefs and purpose should not. Once you understand why you exist and what you stand for, own it. Get out there and stand right in front of it, for this is your truth. Robert McKee says it best. “What happens is fact, not truth. Truth is what we think about what happens.” So allow your audience the opportunity to make that connection with your brand. Adjust the antenna and point that dial to the medium that you wish to broadcast on because you’re ready. You have a message to get out and the time is now. It’s as if the airwaves were specifically built just for you, for this one singular moment in time. There is no better feeling then putting that fostered creativity back out and into the wild where it belongs. It’s been a journey but it’s time to say good bye so the rest of the world can enjoy your genius. That’s it…That’s it…Right there…Yes…Yes…the signal is oh-so clear. It feels good doesn’t it? It’s time to transmit boys. Well, it’s been fun kids. Job well done. To understand how to effectively articulate a brand’s story, it helps to understand the biology on what influences behavior within the human mind. What Drives Our Decisions and Why? The most efficient model for understanding the brain in terms of its evolutionary history is the famous triune brain theory developed, in the 1960s, by the brilliant American physician and neuroscientist, Paul D. MacLean. According to his theory, the following three distinct brains emerged successively in the course of evolution and now co-inhabit the human skull: the neocortex, limbic system, and reptilian brain. 1. The limbic system is found at the center of the brain and is the evolutionary older area that is responsible for emotions, behavior, long-term memory, value judgments, and decision-making. 2. The neocortex is found at the outer shell of the brain and is the newer, homosapien brain that is responsible for rationalizing, analytical thoughts, and language. It is this theory that begins to give us clear insight into why people make decisions based on the way they ‘feel’, from the ‘heart’ or just from following their ‘gut instincts’. It is important to understand that it is not at all our ‘gut’ and it is not even ‘instinct’. Instead, it is our limbic system that is making the decision that just has not yet been processed through the neocortex; therefore, people just get a ‘feeling’ and are forced to use their ‘intuition’ when they do not have enough information from the neocortex in the form of facts and other analytical determinants to complete their decision making process. Remembering the theory, people rationalize their feelings and value judgments with the things you say and do but these facts and figures alone, processed through the neocortex, do not ultimately drive decisions. Instead, the deep-rooted feelings and value judgments accompanied by those same facts and figures are what are ultimately responsible for all human behavior and decision-making. Summarizing — the resulting facts and figures from the neocortex should merely reinforce those feelings originating from the limbic system. ‘Intuition’ will then be strengthened when those resulting thoughts are coming from the neocortex. 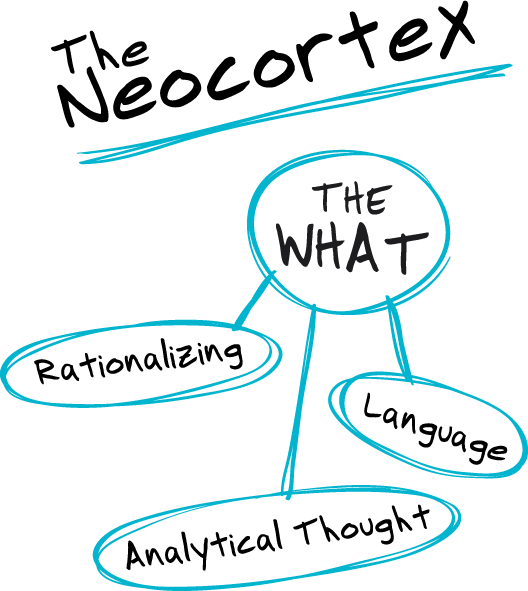 People need to have a higher lever of understanding of ‘how’ you do what you do and most importantly, ‘why’ you do what you do. If your facts, figures, and pricing align with your higher level views and if those people believe what you believe, then and only then will you have a life long connection with that person. What This All Means To You? As brand builders, if we want to achieve our goals, we need to engage our entire ecosystem in ways that appeal to and activate at the core of the brain, in the limbic system. We have to be able to connect at that non-linguistic level of the brain. We also have to plug into that part of the brain that controls long-term memory, behavior, feelings, trust, and loyalty. We need to communicate with the decision making part of the brain directly. We can achieve this by speaking in terms of what actually drives decisions — our beliefs and core values on the topics that we are trying to connect through, as well as being able to articulate why it is that we are even trying to engage at this deep level to begin with. This will directly communicate at that trust and loyalty level of brain, found within the limbic system. Too often companies talk about the facts and figures to motivate their audiences. And too often those conversations fall on deaf ears. But companies who speak to the vision, who understand why they are engaged to begin with, and who can clearly articulate the results of that thinking, will allow their team members and customers to make that cause their own, forming an instant connection with that brand. What This All Means To Juplix? This process is delicate and it takes time, effort, and consistency but the results of this theory connect deeply with us at our core at Juplix. Once a brand understands why it exists, all the decisions that define it becomes intuitive. Simply memorizing a set of mission statements found online will only get you so far. Good brands know what they stand for but great brands know why. There are many people popularizing Paul MacLean’s theories but to get a closer look on one of those, we urge you to watch this TED talk given by Simon Sinek. We find Simon’s discussion on this topic thought provoking and inspiring. We love our team and we think you should too. Navigate through all the various team member profiles. Description: Josh is passionate about technology, entrepreneurship, great design, memorable user experiences, spirituality, and continuing education. He has an absolute obsession with Apple products but he is even more embarrassingly fanatical about anything that has to do with Steve Jobs. Originally from Delaware, he now resides in New York City. 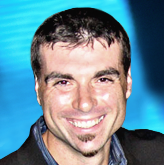 Josh has high hopes for Juplix to be recognized as a young, innovative company with an inspired culture, determined to create positive change in the pursuit of solving hard problems within disruptive markets. 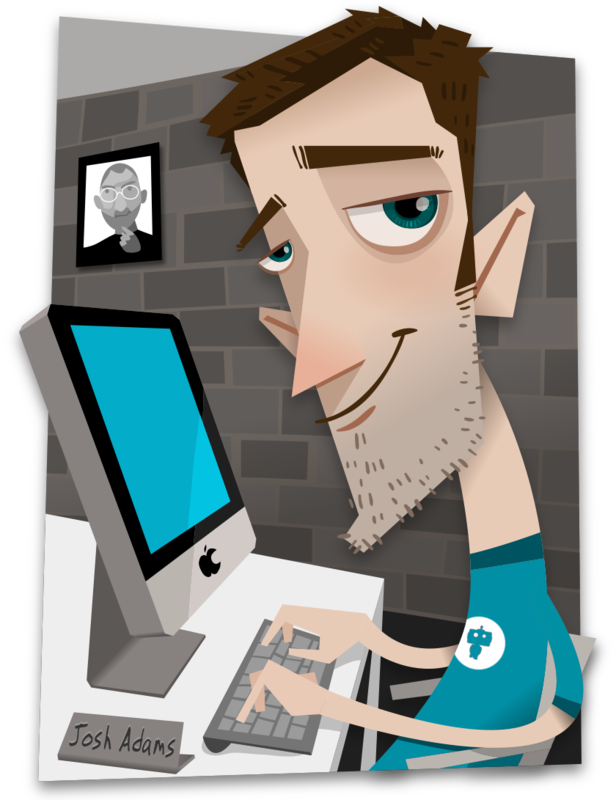 Description: Adam is a web design guru. With enough digital swagger to be permanently on tilt, he takes great pride in his role as a visual communicator. While pondering client direction, user behaviors, and the ever-changing capabilities of the web — Adam still finds the time to make each individual project look uniquely awesome! Description: Visual Balance. Inspiring Corners. Bright Yellow. Rich Chocolate. A Space Odyssey. Dixieland Music. Description: A native Washingtonian, Lori has worked in the Entertainment Industry for over twelve years, soaking up as much knowledge as possible on film production and talent management. She has a love for kind souls, “paying it forward” and all things creative. Lori brings her experience and her sense of being a “Jill Of All Trades”, overseeing HR, serving as an Account Executive, as well as making sure the back of the house runs as smoothly and efficiently as possible. Description: Juplix, the droid who’s mission is to change the way nightlife and hospitality brands are serviced to the world. This little guy is loaded with innovative designs and gadgets – including state of the art html5, css3 expertise — all running on a minimalist wordpress battery. He focuses solely on providing the best possible design & development experiences for his clients, not to mention his 24 hour support — making him the most efficient and reliable design droid of all time! Working with Juplix on creating an identity for The DL was not only a pleasure and a joy but it was like having an in-house design team who understood the project from beginning to end. It’s very rare to find a design shop who completely understands our industry and how the proper design can translate across multiple platforms including print, digital and signage. It’s obvious that their years in the industry has translated into a unique perspective that will make any operator elated with the work they deliver. opportunities for you to join our team. Here at Juplix we’re on the hunt for a talented and ambitious web designer to help us build new things, awesome new things. Indeed we did, this is a demanding but highly sought-after role that offers creative freedom and the chance to shape the agency’s creative output with your views and thoughts. You’ll be working alongside our design and development teams to create and build stunning and, quite frankly, awesome websites for our clients. Designers and Developers go hand in hand so teamwork is a key skill set if you want to succeed in this role. Being a lone ranger won’t get you too far in Juplix so make sure that’s ok for you. Pixel perfect design – Your eye for detail will be ridiculous! Testing a website over and over again with our development team until everything is picture perfect! How to have a laugh. At Juplix we enjoy having a fun and positive working environment. I mean, who doesn’t, right!? Are you the one that we’ve been looking for?!? To apply, you’re going to need to put together a CV, a link to your portfolio and examples of websites that you have worked on and your role on that project. We are expanding our creative team, and looking for an excellent freelance copywriter to join us here at Juplix. Could this be you? Are you a seasoned copywriter that enjoys writing compelling B2B content? Then we would love to hear from you, as a copywriter for Juplix you will be working on various projects throughout our many design and development teams, producing work for a wide range of communication materials, including brochures, fact sheets, flyers and posters, websites, ads, press releases and much more. If this sounds right up your alley, then you might be the copywriter for us. To apply, you’re going to need to put together a CV, a portfolio (if you have one) and a short note describing why you would like to work for us. Hey you, wanna make a movie? We’re looking for an intern to join our motion design team. This unpaid internship requires 15-20 hours per week. If you dig shooting, editing, animation, and have a working knowledge of Final Cut, After Effects, and basic video production. Cinema 4D chops are a plus, send your reel and resume ASAP! Juplix, est. in early 2012, is a creative agency for nightlife and hospitality with a concentration on digital design and software development. Juplix connects nightlife-style brands with the design and technology they deserve. 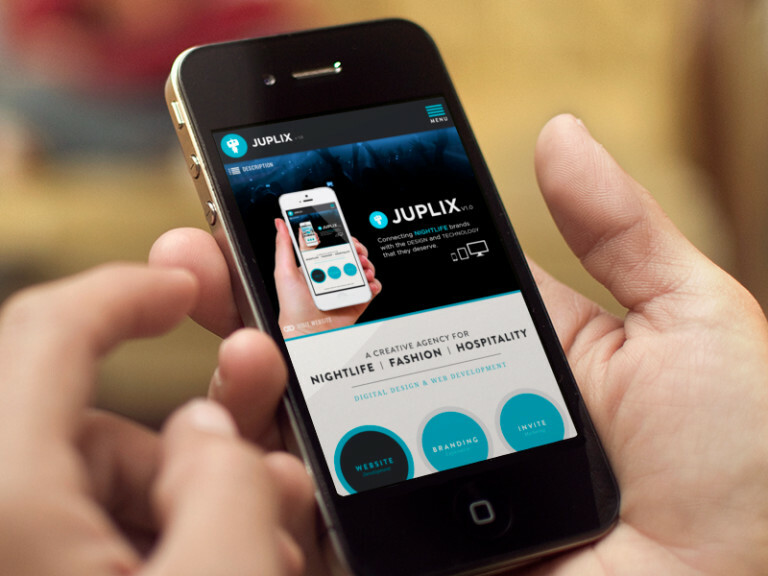 Ultimately, Juplix’s aim is to re-imagine the way nightlife and hospitality brands are serviced to the world. The DL is a Restaurant Lounge located in Manhattan’s Lower East Side. Providing both nightlife or after work experience, The DL has what you are looking for. It boasts two separate rooms that can operate independently or in conjunction with one another, accommodating a wide range of parties and special events. 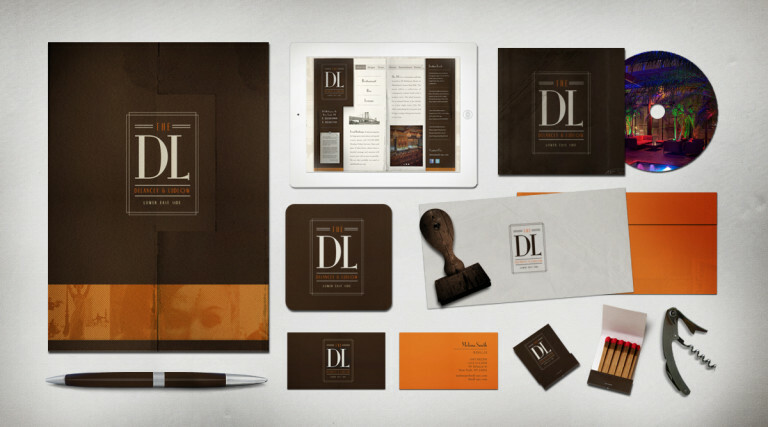 The DL approached us looking for a new identity for their business. With new management and a new menu in place, the only thing left was to create a brand that brought their visions to life. With a love of vintage typography and minimalist design, The Butler’s List came to Juplix wanting a design treatment to coincide with their unique nightlife service. The Butler’s List serves as an 3rd party online promotional guest list sign-up that promises premium nightlife access to some of the most sought after nightclubs in New York City. With their serene appreciation towards vintage aesthetics, we needed to offer up a brand that matched their visions while incorporating the modern trends of today’s nightlife culture. SocialFlyer is the new venture that aims to provide the best service & results when promoting your nightlife events and social media campaigns. 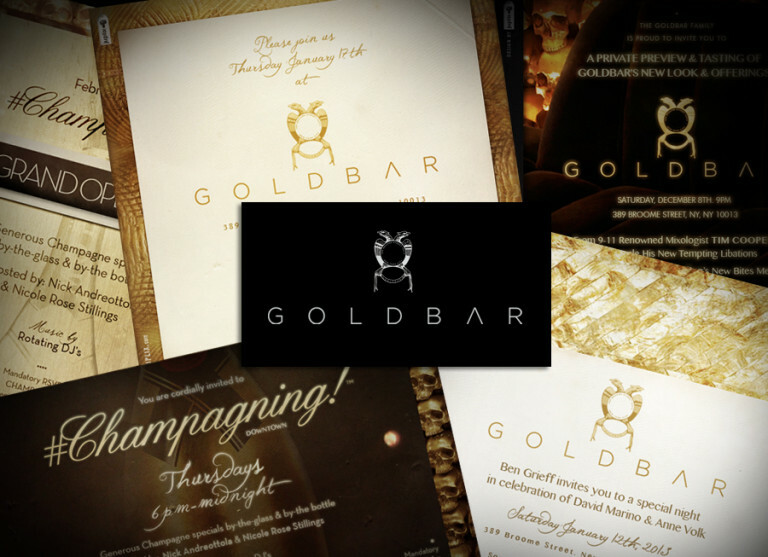 With an up-to-date knowledge of the latest design/social trends partnered with a ever growing client list of New York’s biggest nightclubs, SocialFlyer is making its mark and growing. The company approached Juplix with an idea of a fresh brand image to coincide with there modern business and Juplix was more than happy to fulfill this and make their ideas come to life. Stubster is your complete ticketing solution for all of your holiday nightlife events. With a focus on great design and unique branding campaigns for each event, Stubster differentiates itself by putting on a unique visual showcase for all your events in efforts to set your event apart from the crowd, maintaining an easy to understand and delightful user experience throughout your client’s ticket purchasing adventures. We were able to take the Stubster brand and service live within 45 days from it’s inception point. We executed very quickly to push this out before the 2012 holiday season. Slims Chance is a foundation created to help children and their family when a parent passes away. Slims Chance stands for Stop Letting Innocence Miss-out. The foundation was created in honor of Michael A. Duncan (aka Slim) who passed away February 8, 2010. Slim left behind a beautiful daughter that he always called his “Princess”. We do what we do to connect with our audience. Please stay connected with us at the links below! Give us a like! OUR HEADQUARTERS Follow our tweets! CAT STILL GOT YOUR TONGUE? IT'S THIS EASY, CLICK HERE! © Copyright Juplix, LLC. All rights Reserved.